Magic Shoppe is a five reel, 25 payline video pokie from Betsoft. This magical game takes place in a shop, where players can pick up cards, top hats and magic boxes. It is a low-stakes online pokie with some great Wild and Scatter symbols. There are also some great bonus features for online casino players to look forward to in this game. Be a magician with this stellar game for pokie players. 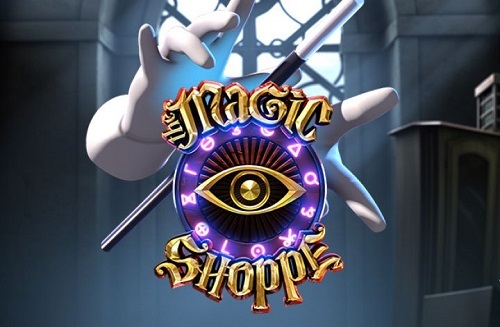 Collect all the tools you need to start casting spells at the Magic Shoppe. This magical pokie can be enjoyed all year round at Pokies.com online casinos. AU casino gamblers can expect some great graphics and spooky sound from Betsoft in this game. Magic Shoppe is based on a darker kind of magic, featuring locked Sun and Moon Boxes that act as Scatter symbols. The Wild symbol is a Magic Wand that must appear on three reels to trigger a win. This will trigger the Magic Wand feature, which turns all Sun boxes, Moon boxes and Magic Wands wild. These will multiply wins, making for a bigger payout. For the scatters, if a casino player lands three or more of one box, they will trigger the Free Spins feature. Depending on the box, players will either trigger Sun Free Spins or Moon Free Spins. Other symbols to look out for are handcuffs, glowing skulls, playing cards, silver coins and daggers. So, to be honest, Magic Shoppe is one of the best online pokies for low-stakes players. They have loads of symbols, and each game of Free Spins is guaranteed a win. All of this spooky fun makes for a great gaming experience. Play it for real money or for fun at any Pokies.com best rated online casino site.